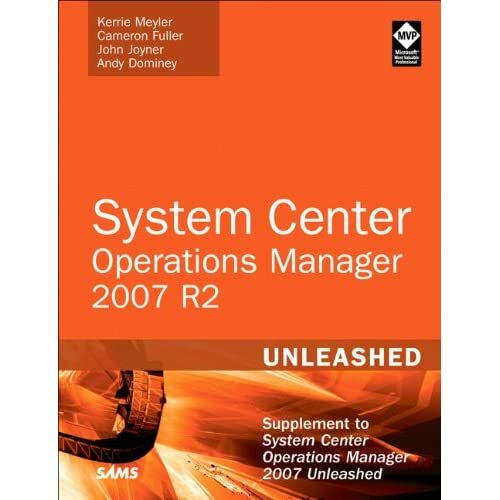 Home / SystemCenter • Uncategorized / System Center Operations Manager 2007 R2 Unleashed is now available for preorder!! System Center Operations Manager 2007 R2 Unleashed can now be preordered on Amazon at http://tinyurl.com/OpsMgrR2Unleashed. The list price is $39.99, Amazon price is $27.57, and Amazon has availability April 26. I’m very proud to be a contributor to this book and I would like to thank Kerrie Meyler for all the effort and all her work she is putting into this new Unleashed book! If you are attending MMS in Las Vegas this year we will have a meet and greet with the Authors and Contributors of the SCOM 2007 R2 Unleashed book so please step by and say hi.